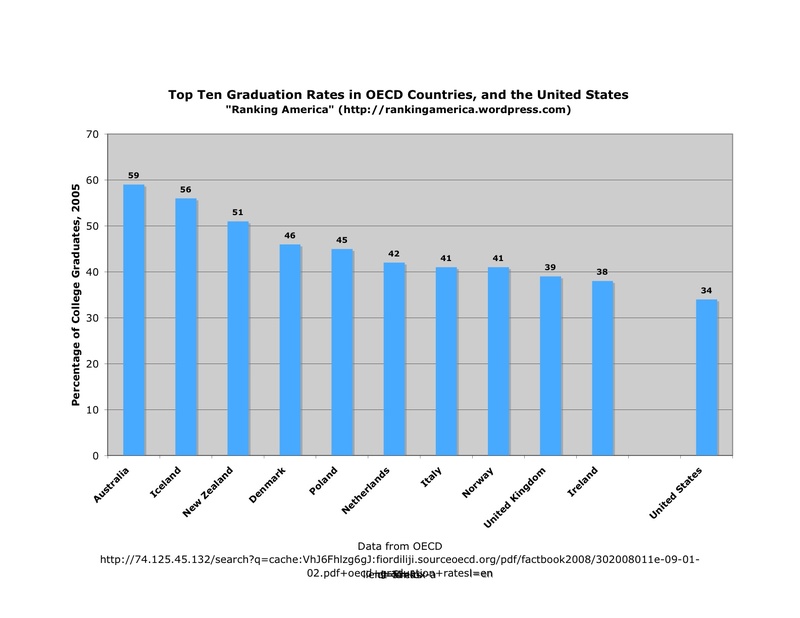 According to the OECD Factbook 2008, in 2006 Americans worked an average of 1797 hours for the year, which makes the United States rank eleventh out of thirty four nations in that category. 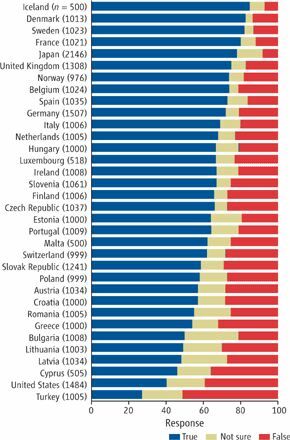 Korea ranked first, with an average of 2357 hours worked. 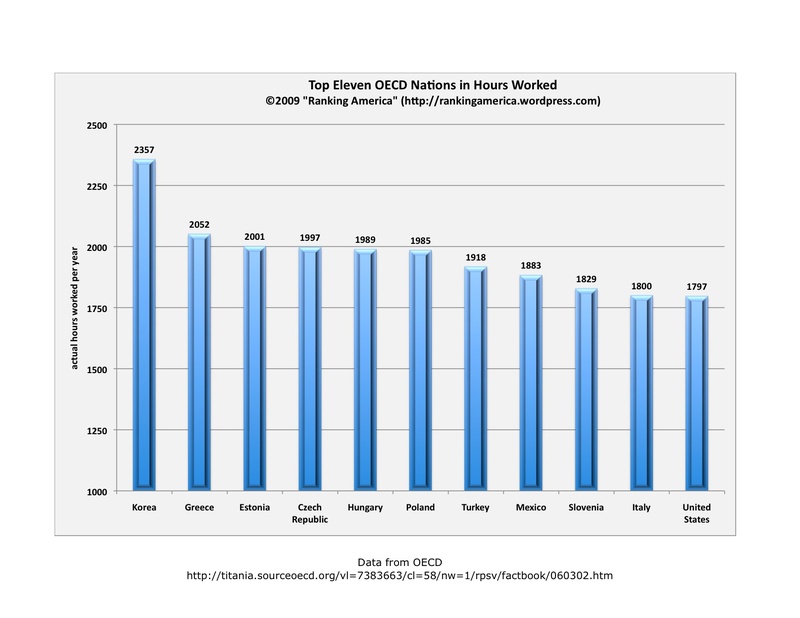 The OECD average was 1777 hours. 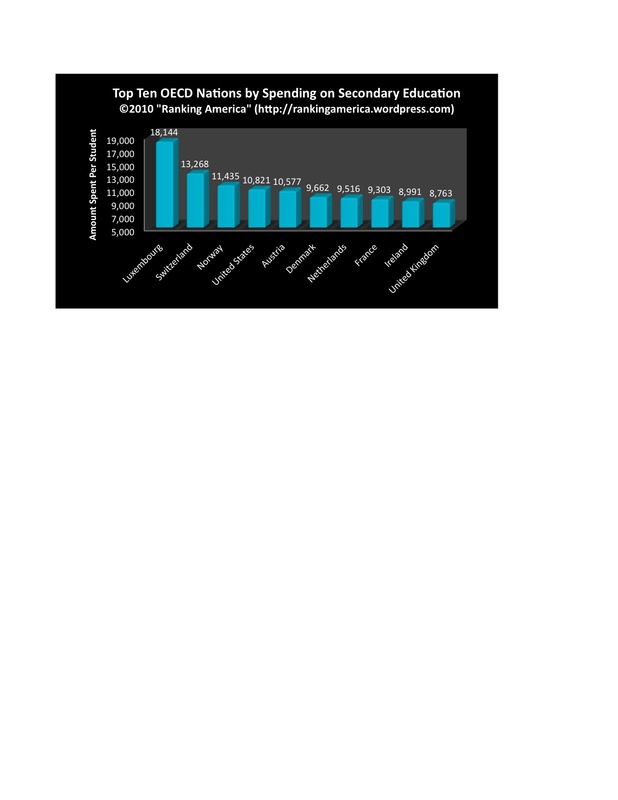 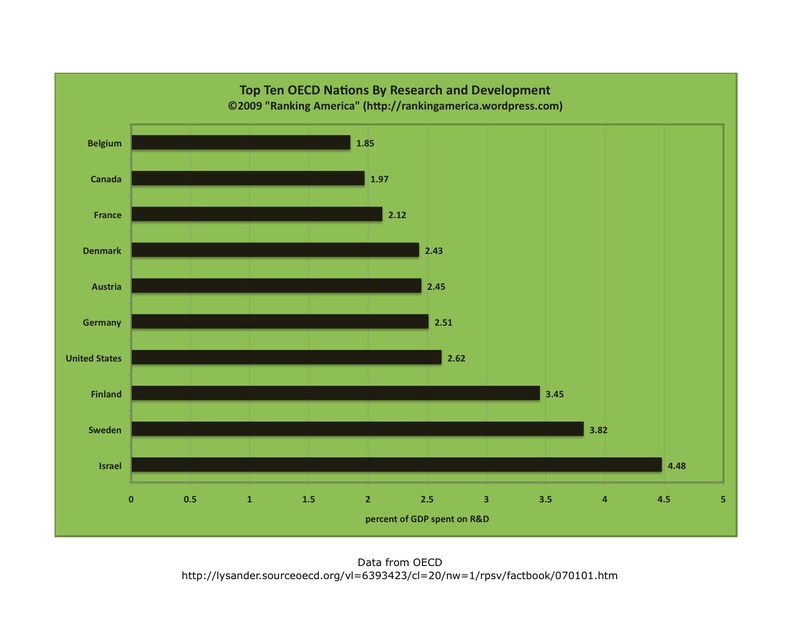 According to the OECD Factbook 2008, in 2006 the United States spent the equivalent of 2.62% of the gross domestic product (GDP) on research and development. 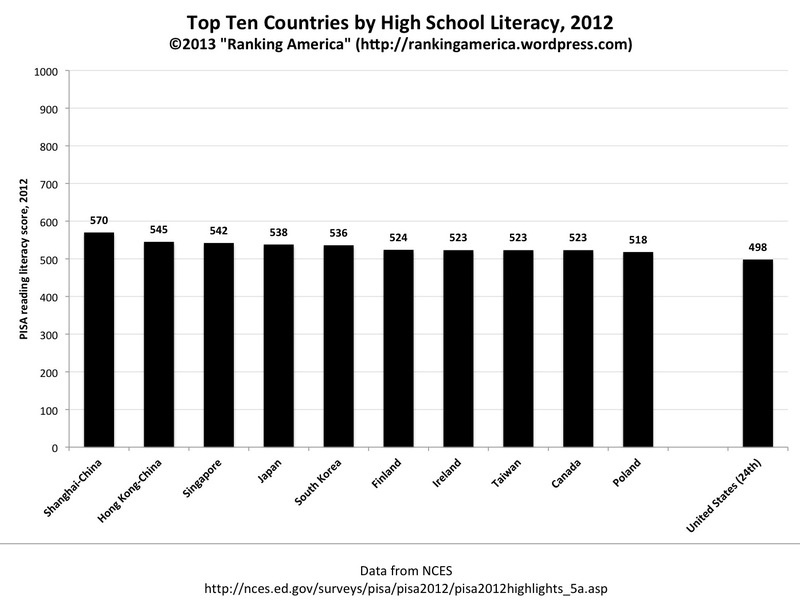 That was enough to make the United States rank fourth out of forty-one nations. 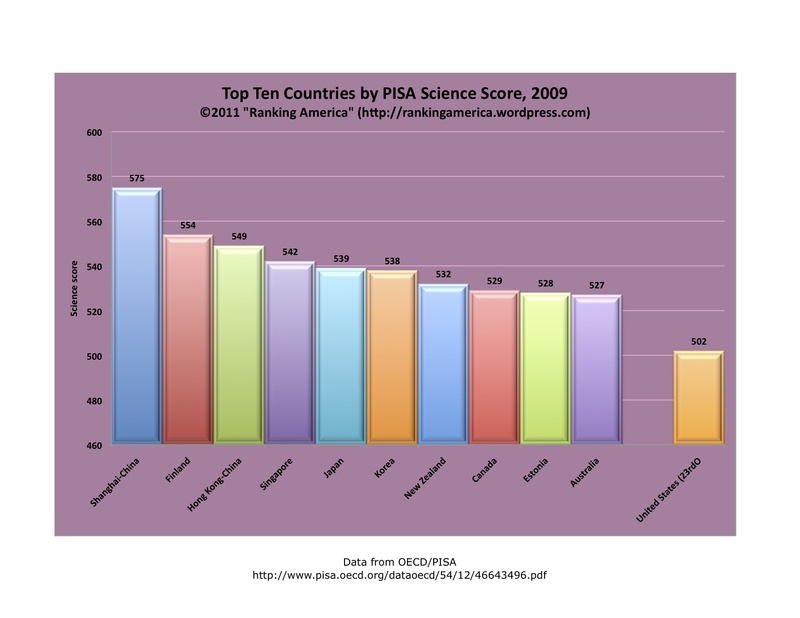 Israel ranked first, at 4.48%.